Microsoft has upgraded three of its Surface computers, unveiled wireless over-ear headphones and released software to better integrate its devices with iPhones and Android phones. 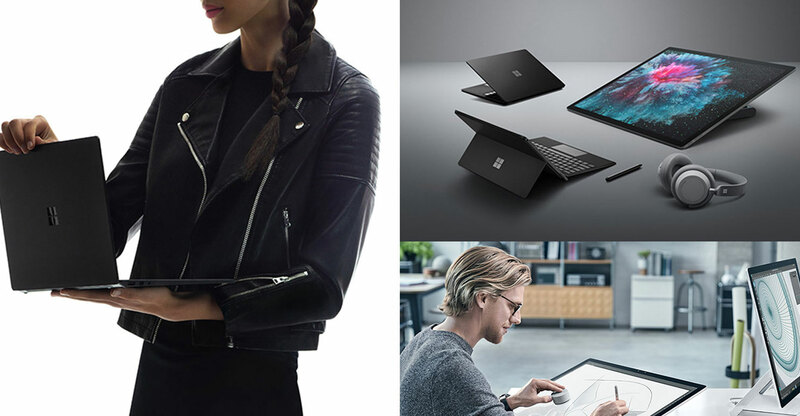 The Surface Laptop 2, a laptop with a touchscreen, and the Surface Pro 6, a combination laptop and tablet, have faster processors and a new matte-black colour option. The Surface Studio 2, the first upgrade to Microsoft’s giant touchscreen desktop computer, comes with a brighter screen and improved graphics processing. In the six years since Microsoft began making its own devices, the company has taken the Surface from an ill-received convertible tablet to a well-reviewed line of devices with sales that topped US$5-billion in the most recent fiscal year. Along the way, the company popularised the two-in-one device that functions as a tablet with removable keyboard, eventually pushing Apple to release the iPad Pro. Still, Microsoft has yet to produce a real blockbuster. According to IDC, the software giant hasn’t cracked the top 5 of the tablet market. The Surface Pro 6 is Microsoft’s flagship device and includes the detachable keyboard. It’s the closest kin to the original Surface. The new version includes a quad-core Intel processor that Microsoft says makes the device 1.5 times faster than the previous generation. It starts at $899. The Surface Laptop 2 is the first update to the machine that Microsoft launched last year to positive reviews. According to IDC, Microsoft shipped 102 000 units of the original Surface Laptop in the second quarter, helping to push overall Microsoft device shipments up nearly 9% year over year. The new model also includes a quad-core processor option that makes the laptop 85% faster than the first model, according to Microsoft. Prices begin at $999. The Surface Studio 2 is the first upgrade to the desktop computer that debuted in 2016. It’s the most unique-looking Microsoft hardware product, bringing a massive touchscreen to desks that can be used upright like a standard monitor or pushed down like an easel for drawing. The new model has a brighter display in addition to faster chips, and costs $3 499 or more. Headphones are a new hardware category for Microsoft. The over-ear design is unique for a major technology company, eschewing the small, in-ear style popularised by Apple’s AirPods. The Bluetooth headphones work with Microsoft devices, but can also pair with iPhones and Android phones. They go on sale later this holiday season and cost $349.